There’s little doubt we’re in the midst of a change in the way we operationalize and manage our end users’ workspaces. On the one hand, IT leaders are looking to gain the same efficiencies and benefits realized with cloud and next-generation virtual-server workloads. And on the other hand, users are driving the requirements for anytime, anywhere and any device access to the applications needed to do their jobs. To provide the next-generation workspaces that users require, enterprises are adopting a variety of technologies such as virtual-desktop infrastructure (VDI), published applications and layered applications. At the same time, those technologies are creating new and challenging problems for those looking to gain the full benefits of next-generation end-user workspaces. Before racing into any particular desktop transformation delivery approach it’s important to define appropriate goals and adopt a methodology for both near- and long-term success. 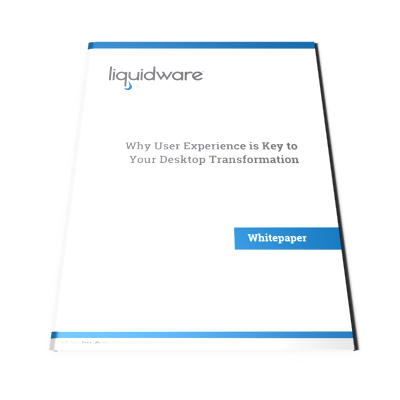 One of the most common planning pitfalls we’ve seen in our history supporting the transformation of more than 5 million desktops is that organizations tend to put too much emphasis on the technical delivery and resource allocation aspects of the platform, and too little time considering the needs of users. How to meet user expectations and deliver a user experience that fosters success is often overlooked. To prevent that problem and achieve near-term success as well as sustainable long-term value from a next-generation desktop transformation approach, planning must also include defining a methodology that should include the following three things: •	Develop a baseline of “normal” performance for current end user computing delivery •	Set goals for functionality and defined measurements supporting user experience •	Continually monitor the environment to ensure users are satisfied and the environment is operating efficiently This white paper will show why the user experience is difficult to predict, why it’s essential to planning, and why factoring in the user experience—along with resource allocation—is key to creating and delivering the promise of a next-generation workspace that is scalable and will produce both near-and long-term value.